In a message to the demonstrators gathered in Burlington to protest the President’s firing of Attorney General Jeff Sessions, Peter called upon the new Acting Attorney General, Matthew Whitaker, to immediately recuse himself from the Mueller investigation and for Congress to open an investigation into the circumstances of Mr. Sessions departure. “It is imperative that all Americans pay attention to what is happening in Washington and speak up as you are today. Your voice matters. Your actions matter. And your passion for our democracy matters. Thank you for all you are doing to stand up for our democracy and our democratic norms of free speech, a free press, and the rule of law,” said Peter. Peter took to the floor of the U.S. House to demand the House take up a resolution that would halt the sales of arms to the Saudi government that are being used to bomb and displace innocent civilians in the brutal war in Yemen. Peter held a press conference with members of the Small Business Administration as part of a Shop Local event to highlight small businesses in Brattleboro. 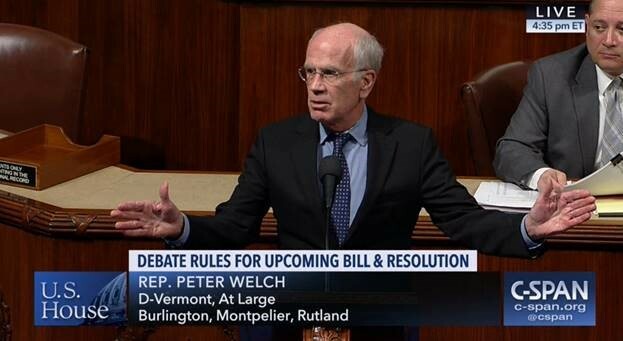 Peter continues to be a strong voice in Congress for Vermont’s small business owners. 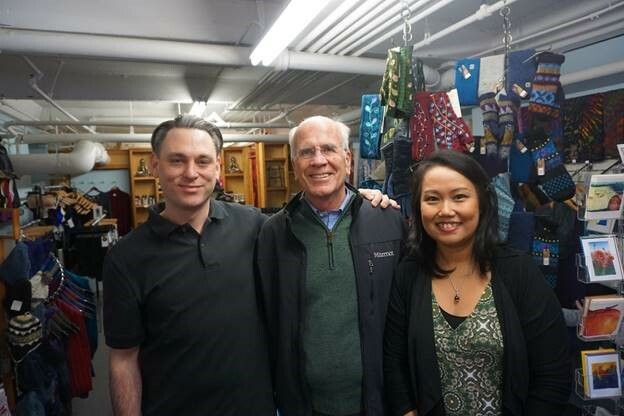 Peter met with the owners of Malisun, a clothing and jewelry business. Supporting small businesses like Malisun keeps our downtowns vibrant and our communities strong. 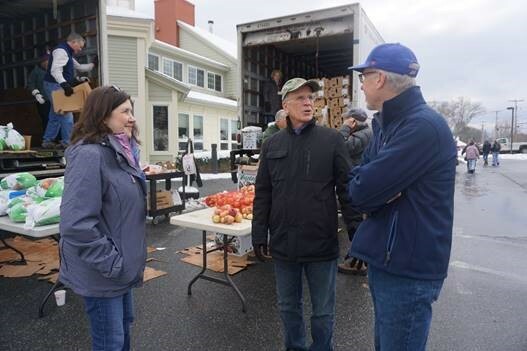 Over the past month, Peter has traveled the state to meet with and see first-hand the charitable heart of Vermonters and our communities as we head into the holiday season. 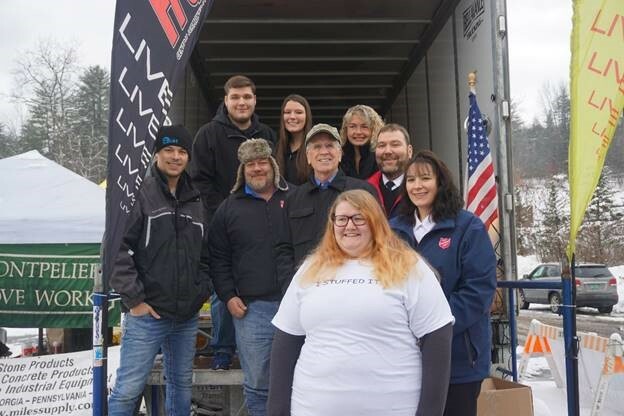 Peter met with volunteers collecting food for the Salvation Army at the 17th Annual Stuff-A-Truck Food Drive in Barre. Peter stopped by to help at the annual Turkey Day event at the Upper Valley Haven. 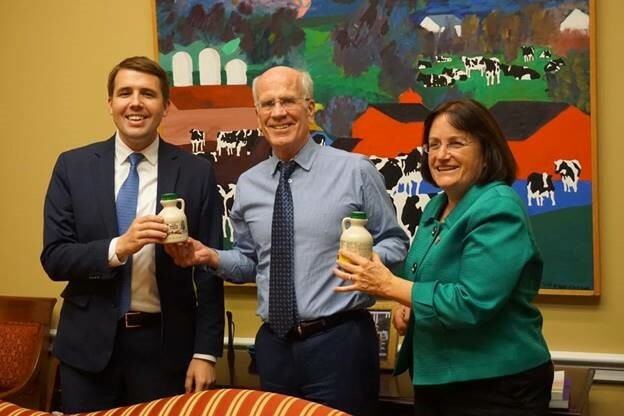 Peter had a special visit in the D.C. office from his newly elected colleague from New Hampshire, Chris Pappas, along with Congresswoman Annie Kuster. It seems they both needed some schooling on the superiority of Vermont pure maple syrup, so he gave them a sample from the Richardson Family Farm.